Trapezoid Double Square, 30 Grit, brazed, HTC style mount with standard bond for medium concrete. 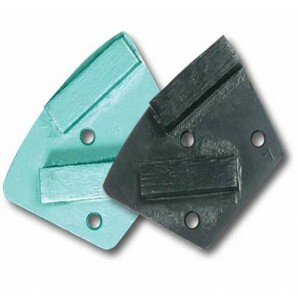 Trapezoid Double Square diamond grinding shoes for grinding and polishing concrete and hard concrete. Wet or dry use with floor grinding machines.